Book and pictures courtesy of Roycroft Historian Boice Lydell. This is another one of the unusual things that came out of the Roycroft Shops. The Roycroft in later years did contract binding and the book above is one of those. The book was published by Cameron Publishing Co. but it was bound by the Roycroft Bindery. 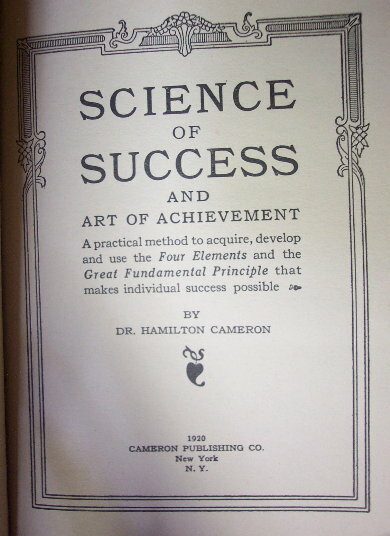 McKenna names this book "Signs of Success" this book is the "Science of Success", so either it was misnamed in the Roycroft bibliography or this is another previously undocumented book in the bibliography. 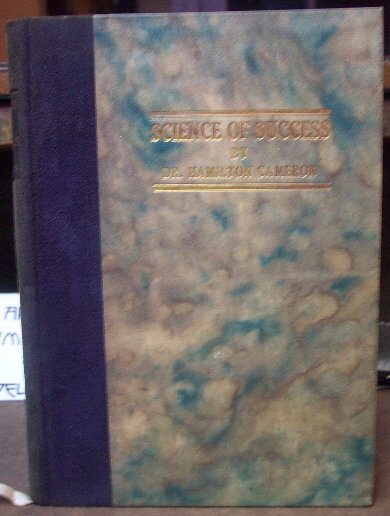 I have never seen a copy of the "Signs of Success".